In 2016, events such as “Brexit” and the election of Donald Trump in the US have shocked the liberal system, not only because of their specific impact on European and global order, but also because of the sudden speed with which these fundamental changes are occurring. 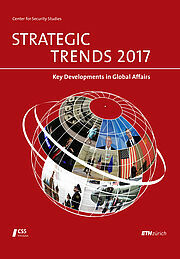 The Centre for International Security Policy (CISP) invites you to the presentation of “Strategic Trends 2017”, an annual publication of the Center for Security Studies at ETH Zurich. Christian Nünlist (“Rebuilding Trust Between East and West? ), Daniel Keohane (“Brexit & European (In)Security”) and Jack Thompson (“No Short Storm – Looking Beyond Trump”) from the Center of Security Studies at ETH Zurich will offer early, but informed analyses on the current state and future direction of a very fluid Euro-Atlantic security system. Their short presentations will be followed by a panel discussion moderated by Wolfgang Ischinger and a Q&A session with the audience. Christian Nünlist is a Senior Researcher at the Center of Security Studies (CSS) and head of its think tank team “Swiss and Euro-Atlantic Security”. 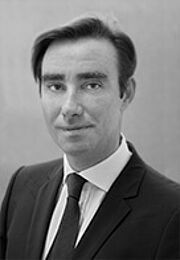 He specializes in Swiss foreign and security policy, transatlantic relations, and multilateral diplomacy. He is co-editor and frequent author of the policy brief series “CSS Analysis in Security Policy”, which offers a focused discussion of current developments in international security and strategic affairs. In addition, he is the co-editor of the annual “Bulletin zur schweizerischen Sicherheitspolitik". 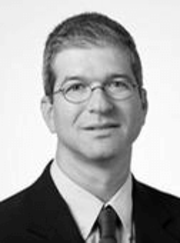 Christian Nünlist studied History, International Relations, and International Law. He received his MA and his PhD from the University of Zurich. He is the co-editor of Cold War Maverick: France and NATO, 1946–1991 (2011), Globalizing de Gaulle (2010), Origins of European Security (2008), NATO in the 1960s (2007), and Aspects of NATO History (2006). His articles appeared in Cold War History, Journal of Transatlantic Studies, and International Relations. 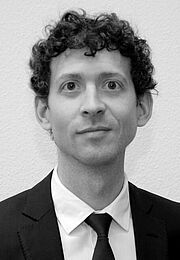 Daniel Keohane is a Senior Researcher at the Center for Security Studies at ETH Zürich, where he works on national defense policies in Europe, EU military cooperation, and NATO. He also writes a monthly column for Carnegie Europe's Strategic Europe blog. He previously worked at the Foundation for International Relations (FRIDE) in Brussels and Madrid (2012-2015), the European Union Institute for Security Studies (EUISS) in Paris (2007-2012), the Centre for European Reform (CER) in London (2001-2007), the Institute for National Strategic Studies (INSS) at the National Defense University (NDU) in Washington DC (1999-2000), and the Aspen Institute in Berlin (1998). He holds a MA in International Relations from the Johns Hopkins University School of Advanced International Studies (SAIS Bologna/Washington), and a BA in History from Trinity College Dublin. Jack Thompson is a Senior Researcher at the Center for Security Studies (CSS). He holds a PhD from the University of Cambridge, a MA from the Johns Hopkins University School of Advanced Studies, and a BA from the University of St. Thomas. Before joining CSS, he worked at universities and/or think tanks in Ireland, the United Kingdom, and the Netherlands. 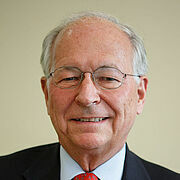 Jack Thompson’s research focuses on US foreign policy, with particular interest in grand strategy, political leadership, transatlantic relations, and partisan politics. His media work has included, among other venues, interviews with Bloomberg, BBC Wales, RTÉ, UTV Ireland, and Newstalk. He is co-editor, most recently, of Progressivism in America: Past, Present, and Future (2016).